WIO News: Days after China put a technical hold on the listing of JeM chief Masood Azhar as a UN-listed terrorist, diplomatic sources say that Pakistan’s foreign minister Shah Mehmood Qureshi is all set to disembark on a three-day bilateral trip to China starting March 17. Qureshi, who will also hold deliberations over the ongoing India-Pak tensions, will meet his Chinese counterpart Wang Xi as part of the set of meetings he will be holding during his China trip. Pakistan will be conducting “strategic consultations” with China, sources privy to the development told WION. 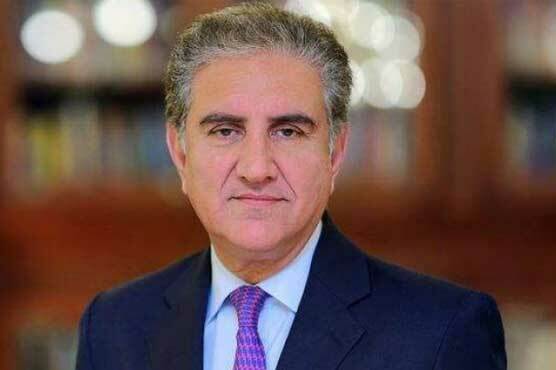 Pak foreign minister Qureshi will be holding consultative rounds of “strategic consultations” on Monday and Tuesday after which he will be wrapping up his China tour and returning to Pakistan. Qureshi is visiting China on the invitation of his Chinese counterpart Wang Xi. Both the countries will conduct bilateral talks and discuss the Afghan peace process among other issues. Sources say that Qureshi will also apprise the Chinese side “on the ongoing crackdown against terror-linked elements that are currently ongoing in Pakistan”, as claimed by the Pak government. It is likely that the matter Masood Azhar’s listing would also come under the series of consultations and deliberations between China and Pakistan. China on Wednesday had put a technical hold on Masood Azhar’s listing under the list of globally designated terrorists. Azhar was named in the 53-pager Pulwama attack dossier sent by New Delhi to Islamabad, the dossier was handed over to the Pak Deputy High Commissioner on the February 27, a day after India conducted airstrikes in Pakistan’s Balakot which was aimed at eliminating a Jaish-e-Mohammed terror camp. India carried out an airstrike in Pakistan in the early hours of February 26 to what it says was based on credible intelligence of a possibility to launch more attacks by JeM into India.